The journal Problems of Post-Communism (POPC) has just published an article I wrote with Laurence Broers entitled ‘Cartographic Exhibitionism? Visualizing the Territory of Armenia and Karabakh‘ (vol. 60, no. 3, May–June 2013, pp. 16–35). Laurence’s part time day job is Caucasus Project Manager for the British peace-building NGO Conciliation Resources. He is also a research associate in the Department of Political Studies at the School of Oriental and African Studies, London. He is lead author on the piece and writes as an independent academic not a Conciliation Resources employee (its content reflects our arguments and do not reflect the views of Conciliation Resources). The paper has its origins in a conversation we had about the graffiti defaced mobile phone coverage maps we both photographed when independently visiting Yerevan in 2011 (see photo above). 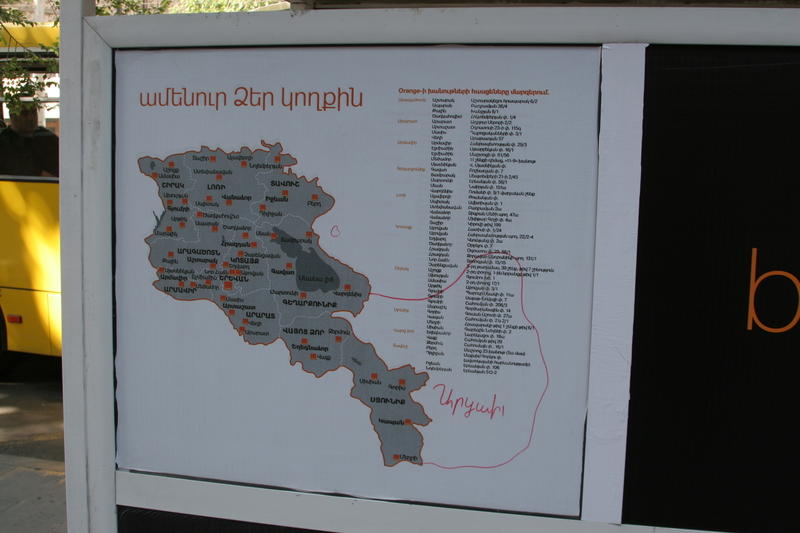 Every one of these advertizing maps I encountered across Yerevan, for Orange Armenia mobile service, were altered to extend the territorial body of Armenia beyond its recognized international borders to incorporate the historic Nagorno-Karabakh Autonomous Oblast (NKAO) and the surrounding territories seized from Azerbaijan in the course of the war over NK. In compiling Forced Displacement in the Nagorny Karabakh conflict: return and its alternatives, Laurence included three photos of these altered maps on page 78 of this publication. What was going on here? There seemed to be a need, on the part of some, to publicly display a larger territorial body than international norms allowed. 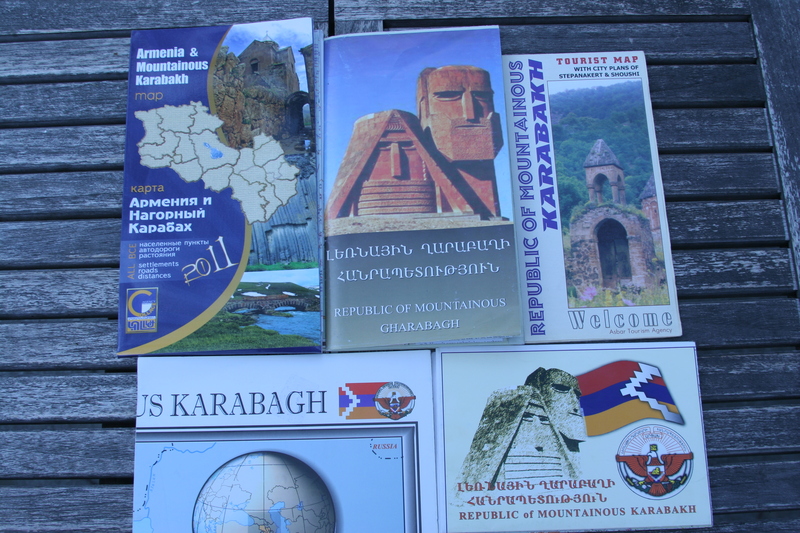 We also noted the varying visualizations of Armenia and its relationship to Karabakh throughout Armenia and Karabakh. I began to collect as many maps as I could find to research this fascinating case of a country with a complex relationship to territories seized, not all of which were contested in the 1988-1994 war. 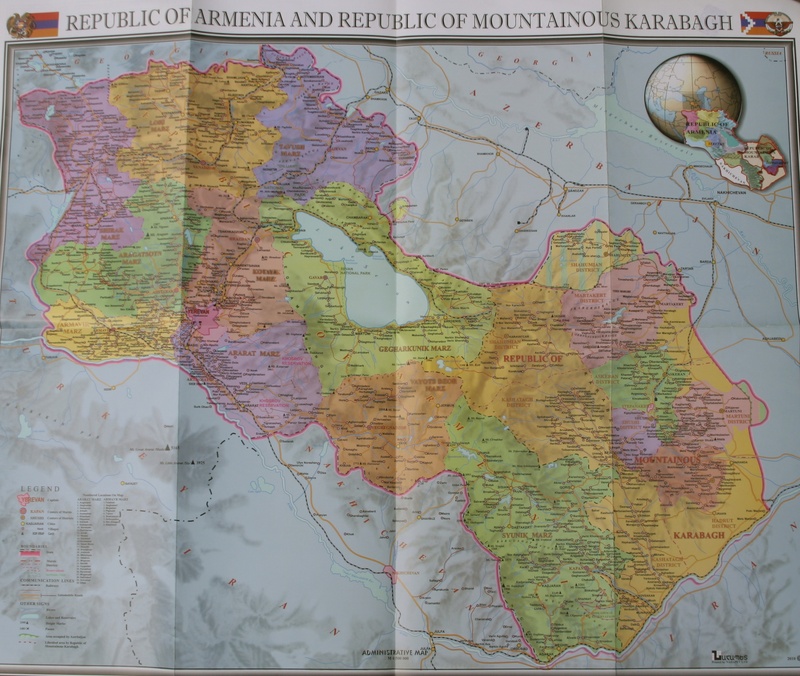 From this, the paper began as an exploration of Armenian geopolitical culture and the tensions within it between a conformist cartography and an exhibitionist cartography that displayed Nagorny Karabakh and surrounding territories which were now coded on maps as ‘liberated lands’ (with claimed parts of the NKAO termed ‘area occupied by Azerbaijan’). POPC is not a social theory journal so we had to scale back the theoretical framework of the paper. We didn’t discuss Mitchell’s ‘world-as-exhibition’, for example, but it is implicit as are certain feminist themes. The editor Dmitry Gorenberg and the staff at the journal were great, providing constructive reviews and striving to make the paper as clear as possible. First, we do not here “single out” Armenian practices as either unique or subject to specific criticism or censure; our aim is to document current practices and their impact on wider discourses surrounding the Karabakh conflict, not to engage in one-sided criticism of one or other party. 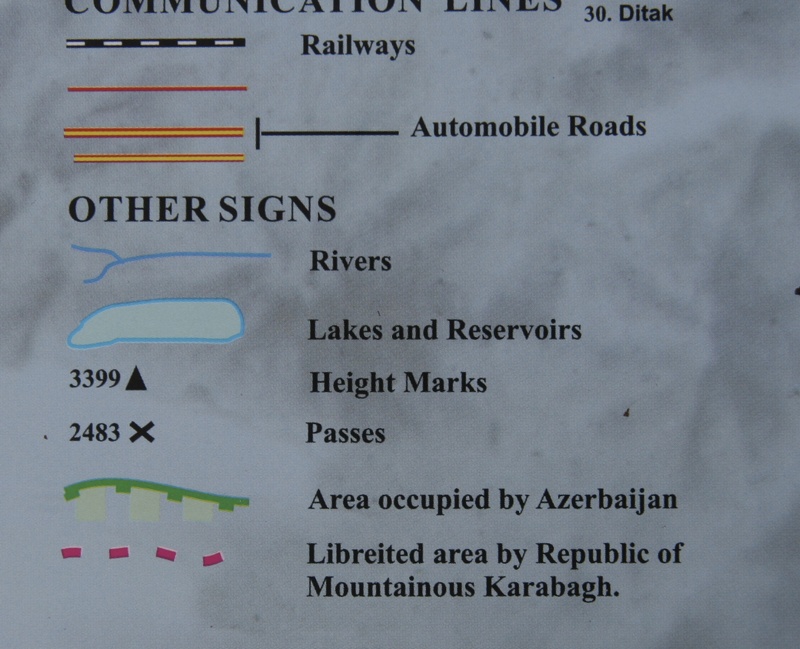 Second, this choice implies that investigation of Azerbaijani cartographies and mapping strategies is vital for a rounded view and a necessary subject for further research. This article therefore makes no claims to comprehensiveness vis-à-vis cartographic representations of the Karabakh conflict overall; only one part of this picture is explored here. Laurence has deep knowledge of this contested territory and has worked for years to create conditions for movement toward peace negotiations and eventually a peace framework agreement. He was great to write with on this and I hope we can do so again if our schedules allow and we are able to examine Azerbaijani perspectives on Karabakh. This entry was posted in Cartography, Critical Geopolitics, De Facto States, forced displacement, Geography, Nagorno-Karabakh, Nagorno-Karabakh Republic, Nagorny Karabakh, World political map and tagged conformist maps, hidden transcripts, maps of conflict regions, Nagorno Karabakh Republic. Bookmark the permalink.